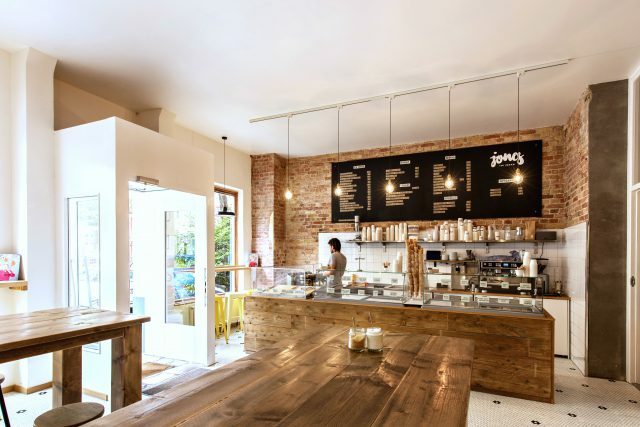 Run by the young pastry chef Gabrielle, Jones Ice Cream is one of a kind. The wide flavor offer will make it difficult for you to decide although we guarantee you that there is no bad choice. 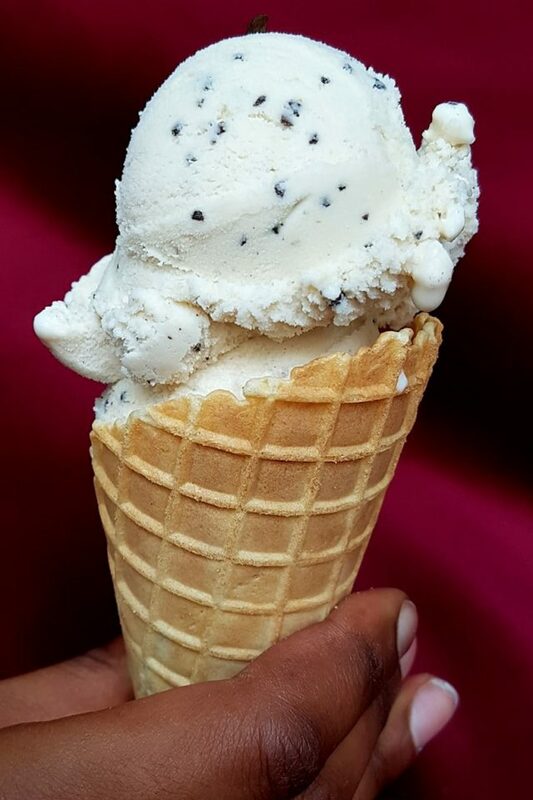 A special mention to the handmade cones that they do on the fly and are the perfect match to the tasty scoop. They also have delicious cookies, soft on the inside and crunchy on the outside. 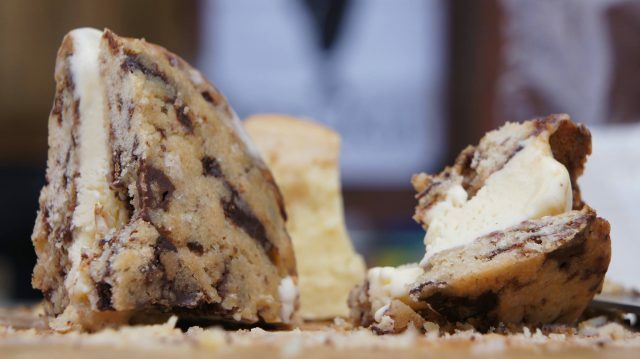 And when the ice cream meets the cookies… it’s a match made in heaven. You’ll find them in their Schöneberg shop, but they also have a truck that travels through the city from festival to food events. Stay tuned so you don’t miss the next location! Oak&Ice is a family business deeply rooted in Berlin that was born to meet the needs of chefs that were looking for “la crème de la crème”. And voila! Oak&Ice stepped into the game. 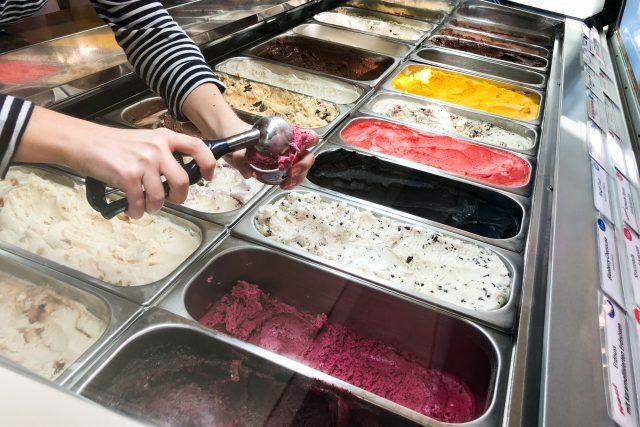 In addition to their vast range of classic options and flavor fusions, they also have options to the unsatiable curious. 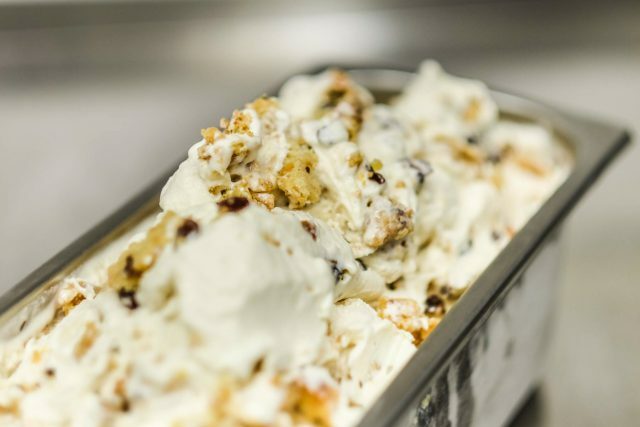 From foie gras to gorgonzola, they can provide custom flavors. 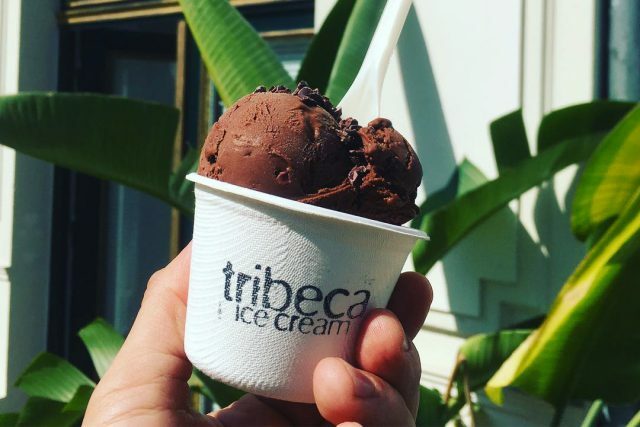 The latest addition to this list is Tribeca, that opened its doors on July 2017. 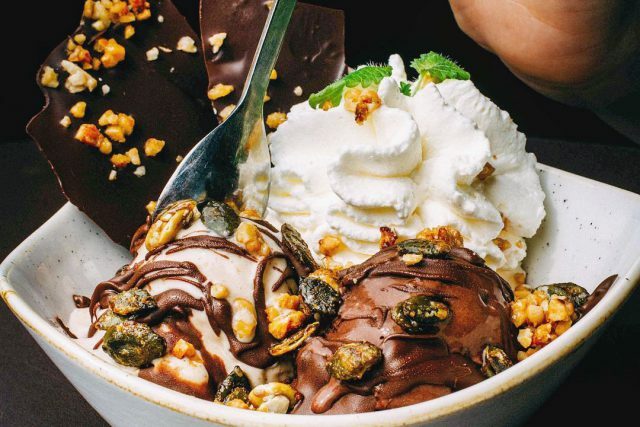 Its history began in New York in the neighborhood of the same name where two brothers, Frank and Klaus came up with the idea of creating a vegan alternative for the ice cream lovers. 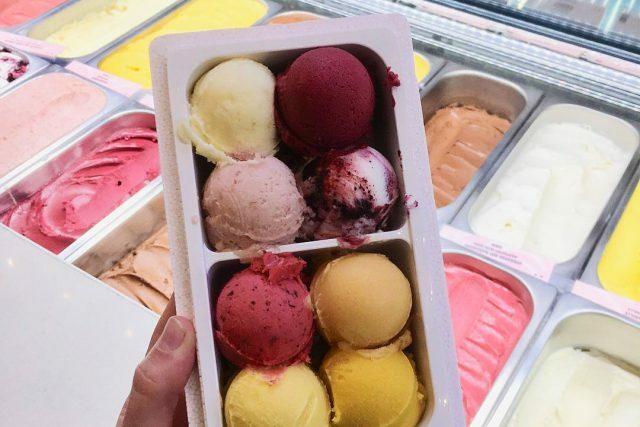 You can find their delicious plant-based ice cream, ice cream sandwiches and disco balls in Prenzlauer Berg and in some food events and markets. Monday-Wednesday: 13:00-19:00, Thursday: 13:00-20:00, Friday & Saturday: 13:00-22:00 Sunday: 13:00-20:00. 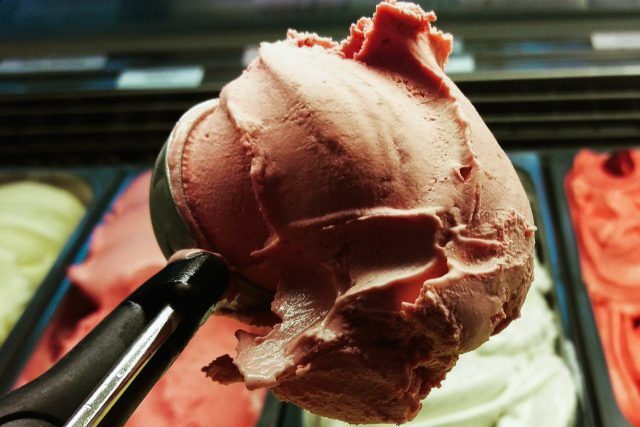 Tradition in craftsmanship is important and as we all know ice cream is an Italian specialty. In Rosa Canina, they didn’t want to let the tradition die so they traveled to Italy to learn all the secrets from the Italian masters and came back to Berlin. 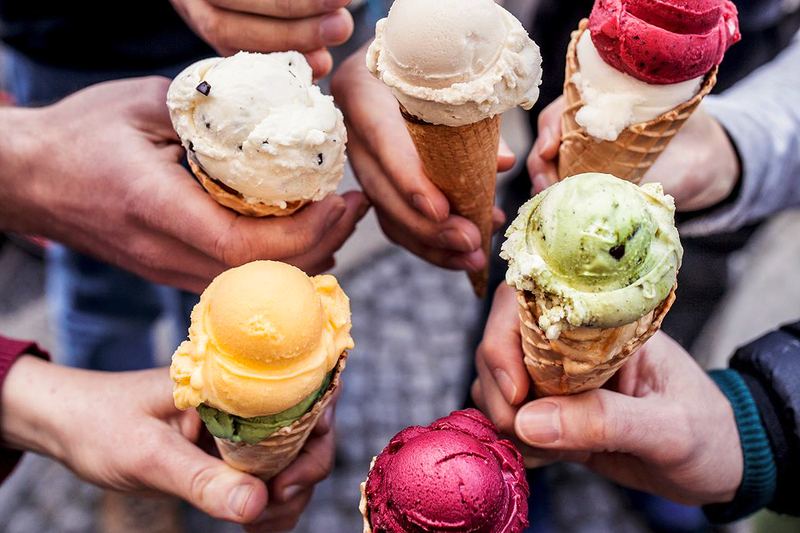 Among their 40 varieties of ice cream, they have the immortal classic vanilla, chocolate, and raspberry and some other surprising combinations like caramelized walnut, pumpkin seed, raspberry with basil. The endless line to get into Berghain is not the only one you’ll have to endure to enjoy the pleasures Berlin has to offer. 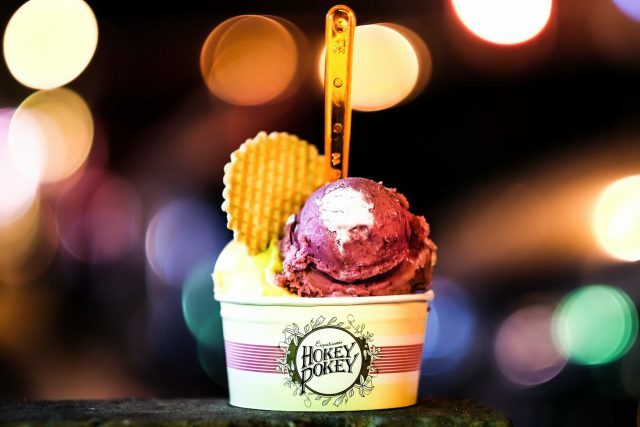 On a sunny weekend, you’ll have to train your patience because getting your treat at Hokey Pokey might take a little bit longer than you’d hoped for. But patience will be widely rewarded when you finally taste the delicious Cafe Noir or Pistachio, or Apple-basil with vanilla… Note that there is also a second one in Pankow with much shorter lines. 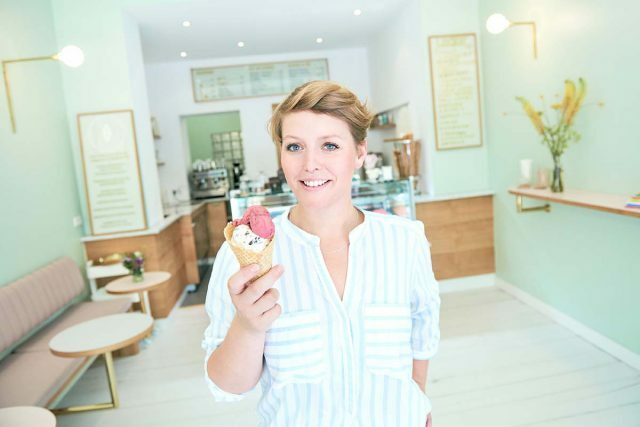 Always crowded, especially with families, Fräulein Frost is another must for the Berliner ice cream lover. 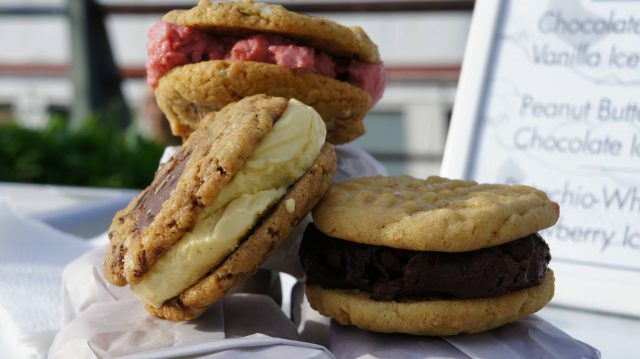 The queuing on a sunny day will be worth it when you finally get in your hands one of their delicious treats. 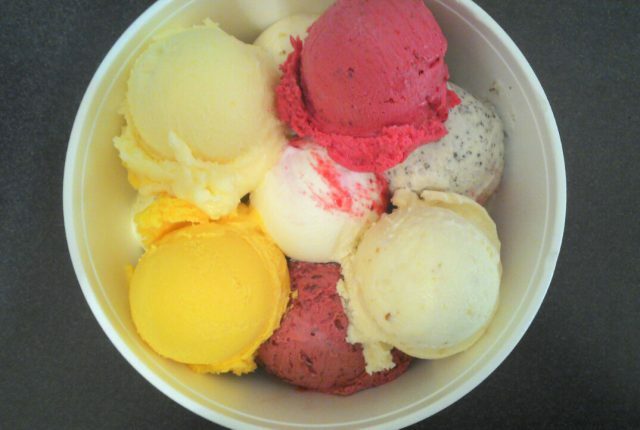 They not only have the classics, but also the amazing Spagehti Eis that you should definitely try. 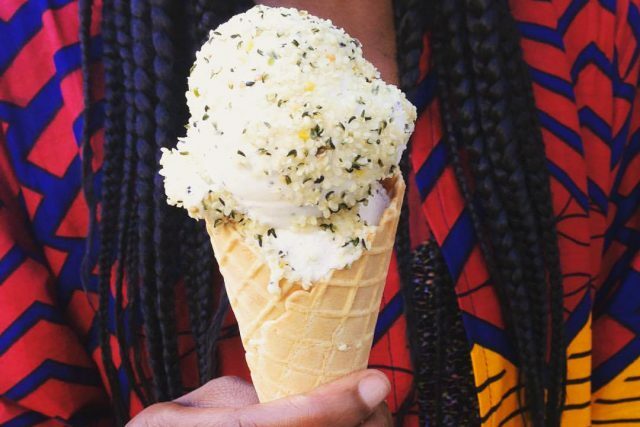 And If you think you have tried it all, give a chance to their Guzimi ice cream, made of cucumber, mint, and lemon. 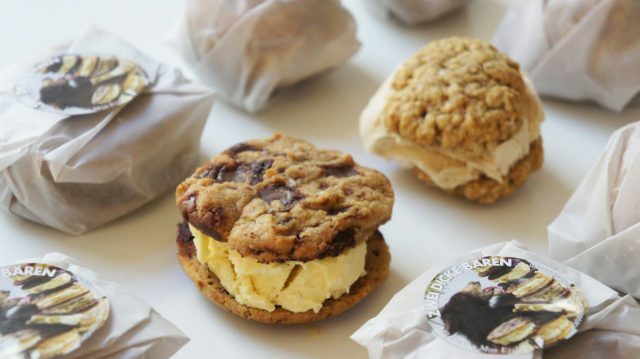 Young entrepreneurs Cesar and Cieran brought ice cream sandwiches to Berlin. 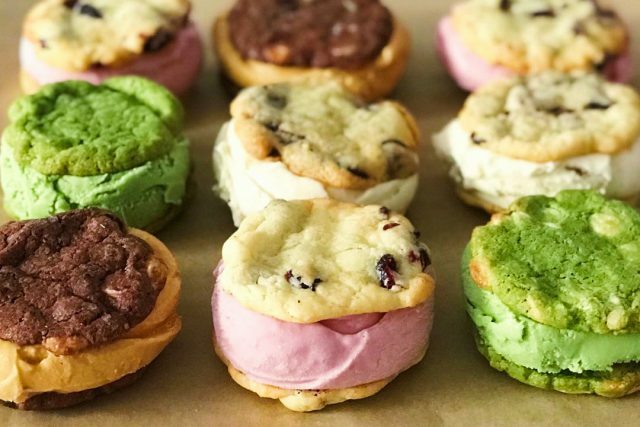 They own Zwei Dicke Bären, and they go from food festival to food markets, making people addicted to their irresistible ice cream cookies. They team up with Gelateria Mos Eisley who provide them with their delicious ice cream. 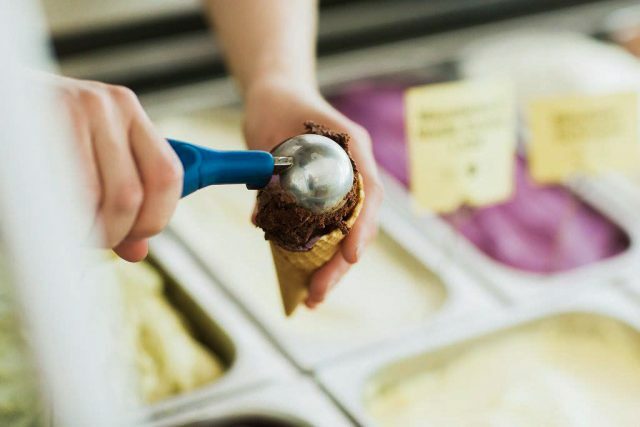 When we think of an ice cream the image of the scoop and cone jumps into our minds automatically. 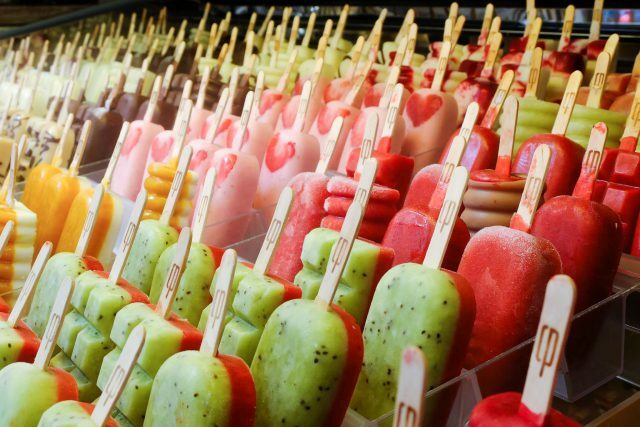 But in California Pops, they have shaped their delicious and refreshing flavors into popsicles. 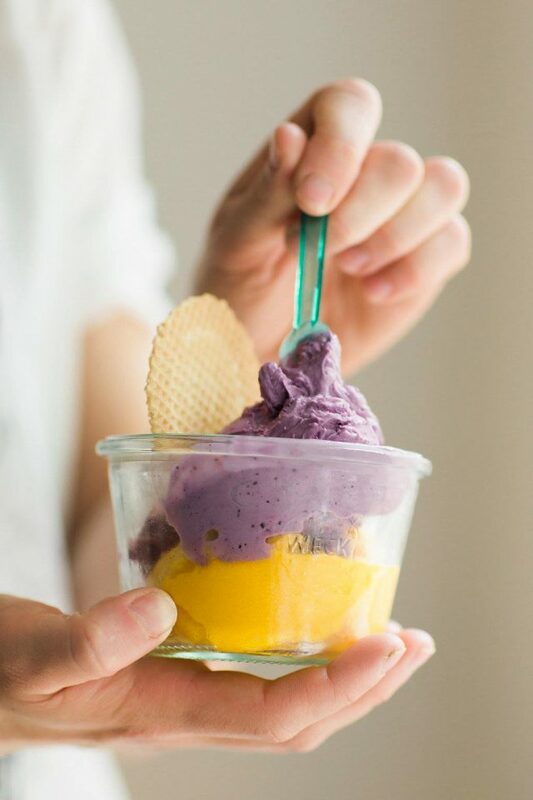 Inspired by the colorful and exotic South America, influenced by the Californian lifestyle and made following the traditional European way of making ice cream. California Pops is the perfect mix of those three different worlds whose refreshing flavors will transport you to the beach. Half of the production is vegan, and they also have an alternative to dairies, like soy, coconut or almond milk. 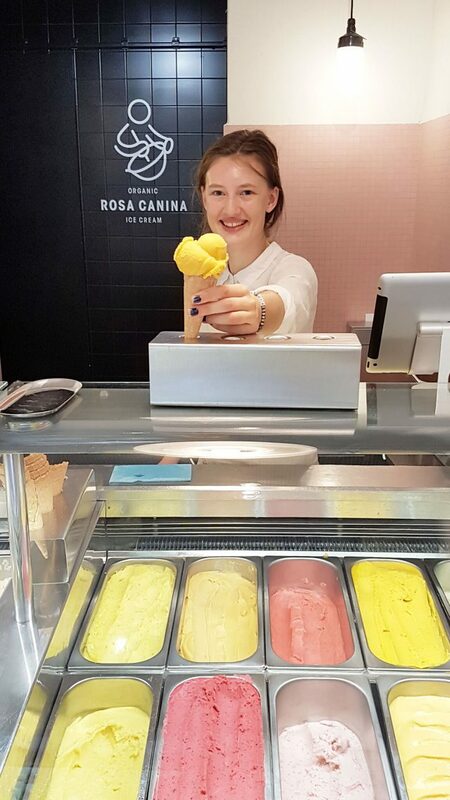 Funded in 2013 by Daniela whose passion for ice cream made her quit her job and travel to Bologna to study at the Gelato University. Guided by the traditional teachings of the masters but with her own modern ideas, her flavors have that distinct classic with a twist style. 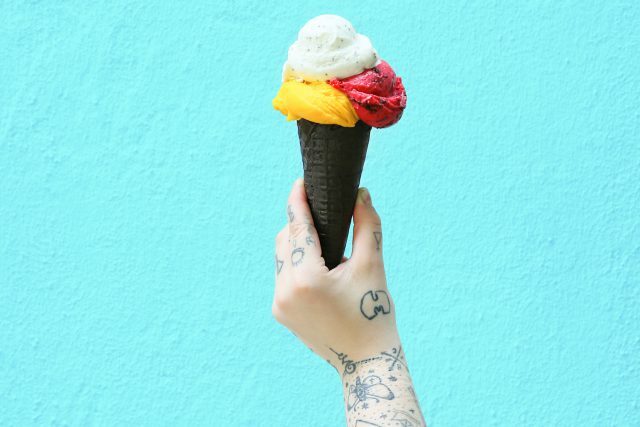 Don’t think twice, grab an ice cream at Mos Eisley and go for a walk at Tempelhofer Feld. Sharing a flat is a whole experience by itself. You know how it starts but you never know how it’s going to end. For Daniella and Lupe it was a life-changing experience because in their kitchen flat they discovered their shared passion for ice cream. And the rest, as they say, is history. After years of study, hours of practice, and lots of hard work they opened Waffel oder Becher. 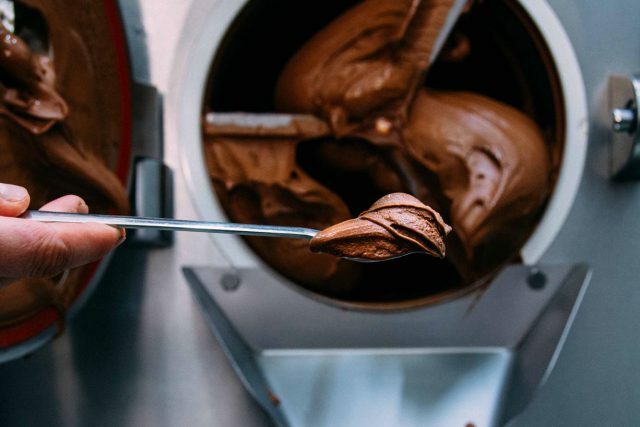 Fresh ingredients brought from different corners of the world, local products and a zero tolerance to powders or ready-mades are the key to their healthy and tasty ice creams. Right at the heart of the beautiful Graefekiez, you’ll find this new jewel. 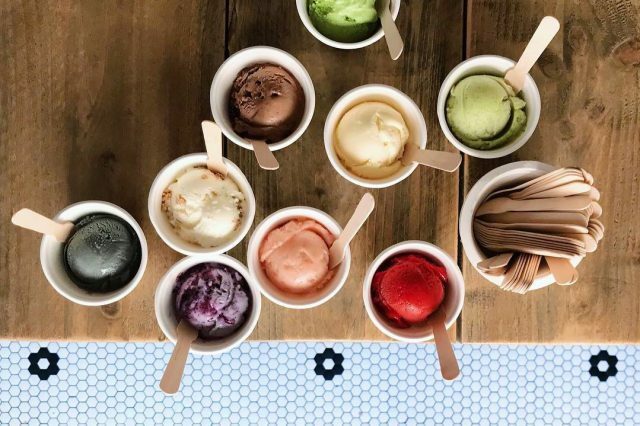 Every ice cream at Lecko’Mio is a small tasty piece of art. 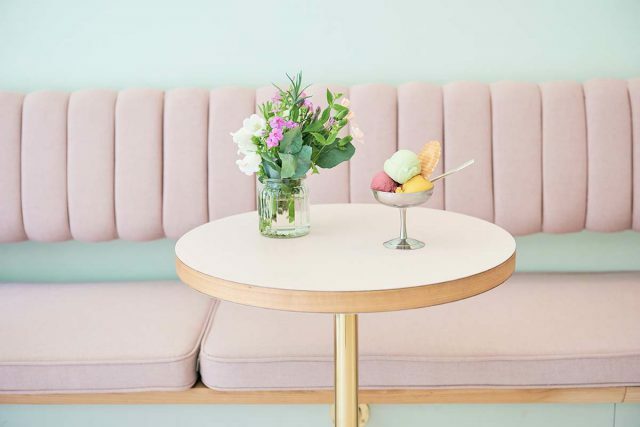 And not only is it delightful to enjoy their ice creams, their shop itself is a carefully designed place where all your pictures will look amazing regardless of the angle. Lecko’Mio is Nadja’s dream project. She was a graphic designer and a photographer until she decided to follow her passion for making others smile with her colorful creations. From chocolate to popcorn and all that’s in between there’s a perfect choice for everybody. At Vanille Marille they are completely aware of the importance of not only having a great product but to assure a responsible and clean production with a 100% rate of green energy. 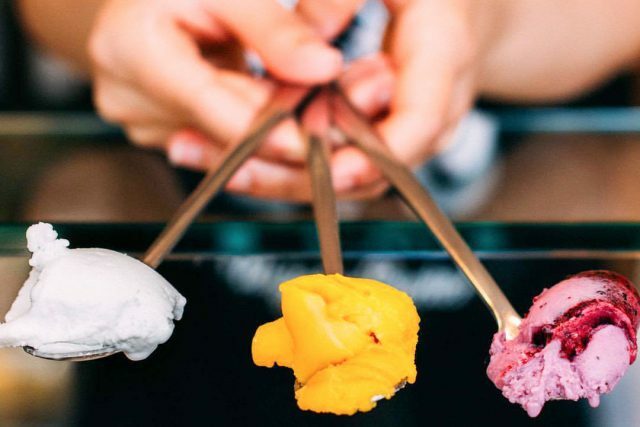 On top of that, they only use natural ingredients free from any artificial elements that give their ice cream that strong and unmistakable taste. 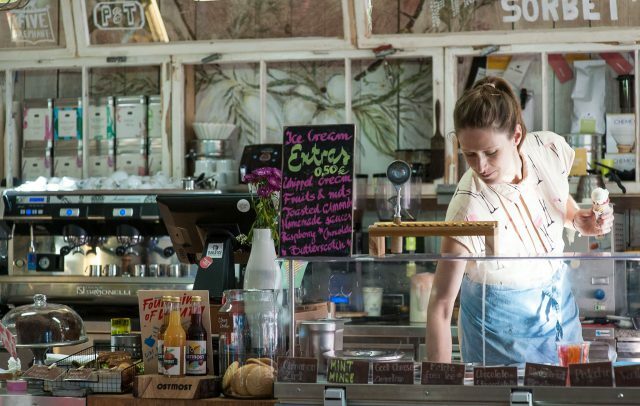 And because they want everybody to be able to enjoy their wonderful product, they also offer vegan options, lactose and gluten-free varieties so nobody misses out. 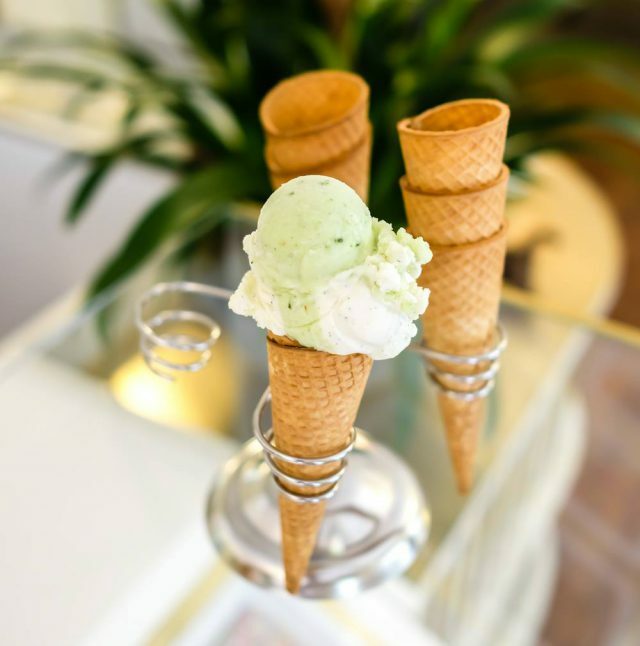 Luckily for us, all the ice cream lovers, we can find a Vanille Marille shop in almost all Berlin neighborhoods. Check here where to find your nearest one. Natural ingredients, low sugar content, experience and lots of love. That’s how the magic happens in Eismanufaktur. Spreading happiness and winning awards since 2004, their growth has been unstoppable with now 6 shops throughout Berlin. The minimalistic design of their parlors, with that unique chandelier, helps them make their point clear. 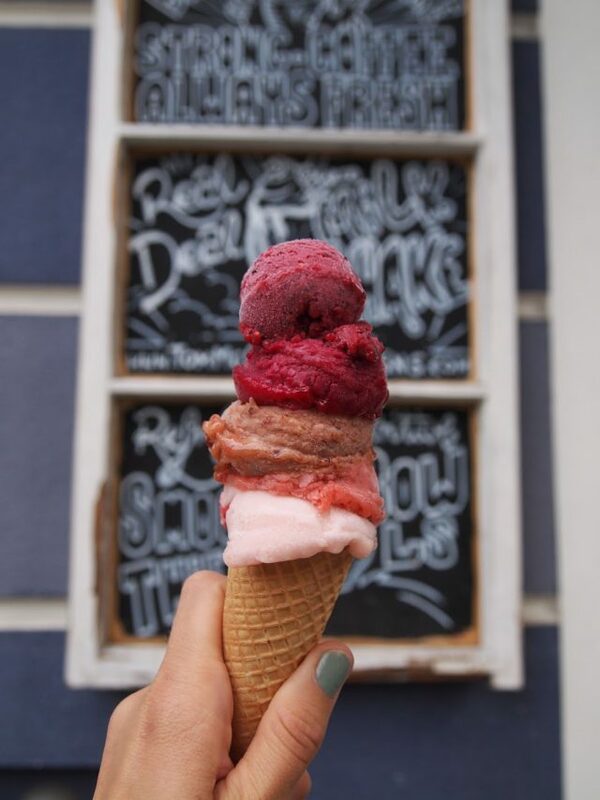 Here is all about the ice cream, so what are you waiting for? 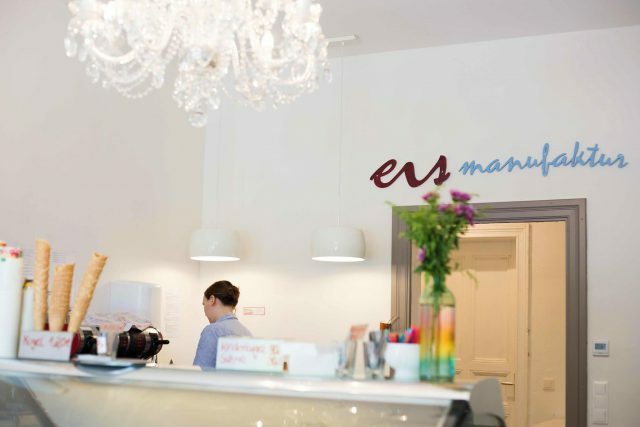 You’ll find them all over the city, find your nearest Eismanufaktur here. 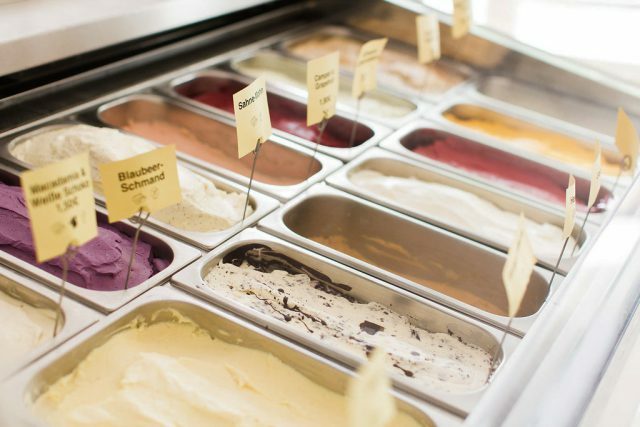 Your favorite ice cream shop is not on the list? Just let us know which one you would also recommend in the comments below! 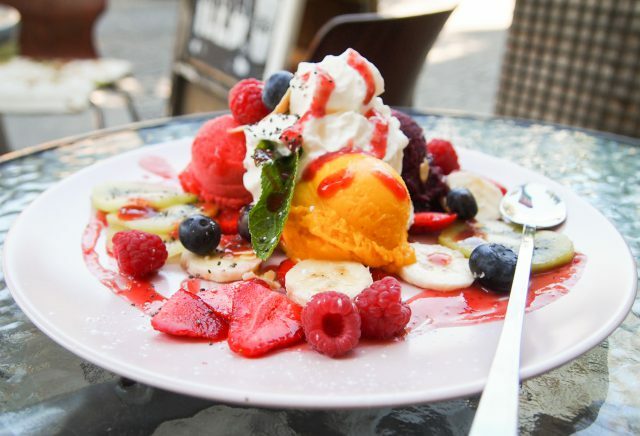 There are definetly missing: Eis de Rix in Rixdorf/Neukölln – very friendly staff & a lot of sorbets, also give “Quark mit Aprikose & Pinienkerne” a try & Nunzio near Rathaus Steglitz – the owner also decided to change his career and opened this very stylish place – they also provide vegan options (apple with cinnamon), but my favourite is White chocolate with rasperry.